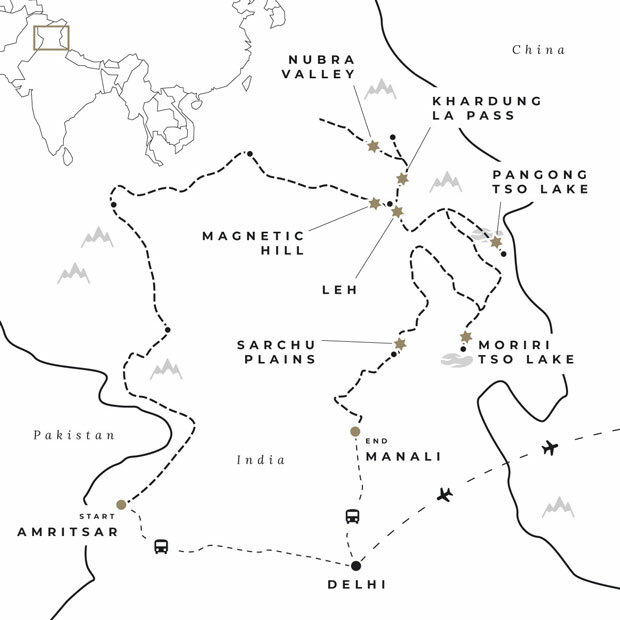 Day one of this amazing expedition starts as you’ll reach Amritsar (by your own means) and check into a Hotel – we will receive you at the Airport or Railway station. Amritsar is a town with immense historical and religious importance. It used to be a centre stage for the Indian independence movement and a visit to Jallianwallah Bagh will bring tears to your eyes – the Massacre of unarmed Indian protestors by General Dyer’s firing squad – changed the course of Indian Independence movement. And then there is the Golden Temple or Harmandir Sahib – It is the seat of power for the Sikh Religion – there are umpteen legends and anecdotes as you walk around this exceptionally revered religious place. Spend sometime just sitting and observing the fishes in the pool of nectar – Amritsar, name comes from this. If you would have time and are in town in forenoon – you must witness the emotionally charged – beat the retreat ceremony at Wagah – the border with Pakistan – this one will give you goose bumps – this ceremony is unique in the world. 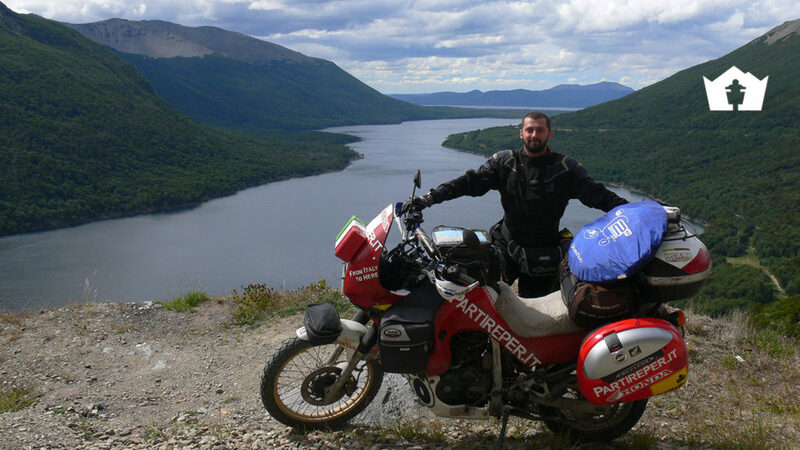 At hotel in the evening you would have a detailed briefing of the expedition and your acquaintance with your motorcycle – your horse for the next 15 days. Its common to give it a name. The rides would normally start early in mornings – to take advantage of low traffic – and cool ride experience. You will begin the ride through plains of Punjab – the bread basket of India – hamlets and rice fields would be on both sides of the good road. This would slowly change when you enter the Jammu region – the terrain here is riverine – you would pass through a large number of streams coming out of Himalayas. The road remains good till Udhampur after which it is a single lane road – and one has to be careful about the traffic. In the afternoon we would be at this beautiful hill station – Patnitop – our first halt in the lower Himalayas. You would love your evening among the clouds. The dinner by a bonfire would be a memorable evening at the hotel. Sleep early for the ride next day. After an early breakfast, we check out and ride towards Srinagar. Today you would ride through a single road – passing through the crowded villages and towns – made busier by the Army convoys which have priority rights. There will be a checkpost short of Jawahar tunnel for your identity and passport checks. Jawahar tunnel needs to be crossed with care – and once across you are officially in the most beautiful Kashmir valley. After some quick pictures, we ride down past the Kashmiri crowded towns towards Srinagar. You can expect some traffic snarls as you come closer to Srinagar, the capital of Jammu & Kashmir. We reach Srinagar by afternoon and take a Shikara ride to our houseboats – a unique stay on the famous Dal Lake. You could relax for a while and then in the evening you are free to explore the Lake and surroundings. Shikara ride on the lake is the most popular thing to do in the evening. Once back from your easy and pleasant evening, you will be served a Kashmiri dinner at the houseboat. You could spend some more time on the lakeside seating or retire early for the ride in the morning. This would be another very memorable evening. Start early in the morning after breakfast. The morning ride will take you through a nice and winding road along a gushing water stream – to Sonamarg. This is a beautiful hamlet – lush green meadows and time for a hot cup of tea. You will cross famous Zozila Pass – this pass gets washed away by heavy snowfall each year. There are at times long truck convoys on Zojila. This one will surely test your riding skills – there is no black top. 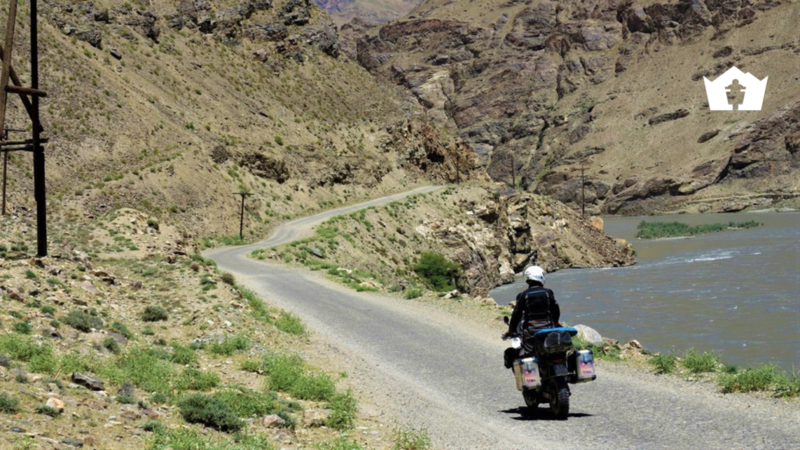 Once across, you ride on to Dras – rated to be the second coldest inhabited place in the World. You would also pay tribute to the real Heroes of the Kargil War. Overnight we will be at hotel in the small himalayan township of Kargil. This is where the greater Himalayas will begin to unfold. Wake up early again and start journey toward Leh after breakfast – the roads today too – will be a mixed bag. Enroute you’ll visit standing Buddha at Mulbegh, the famous Lamayuru Monastery among a unique landscape that resembles moon – called Moonland. We take detour off the main highway – and a lunch break at the ancient Alchi Monastery – what a wonderful temple complex. We then ride onto the strangely true Magnetic Hill and the Pathar Sahib Gurudwara. 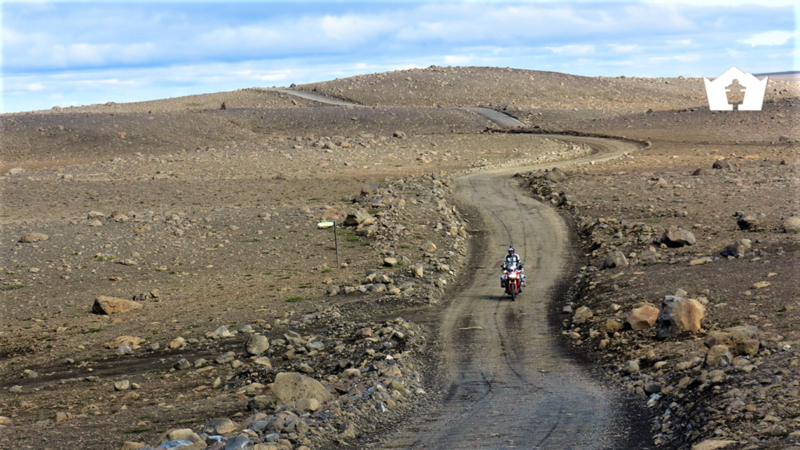 We then ride the Bazgo plains – and reach Leh by the evening. It was a good days ride – you are in a capital town of Ladakh region. Some modern amenities in this high Himalayas – beyond 10,000 ft. So take it easy today. After four days of riding, this day is dedicated for relaxing and acclimatization. On this day you are free to explore Leh at your own pace, and visit to Stok Palace, Leh Palace, Hall of Fame museum, Shey, Thiksey, Hemis, Shanti stupa, Tibetan market and shops in Leh town. You can also enjoy some local food and buy souvenirs from a local market. Leh is the centre of all the activities in the region and you would love even walking around the town. But take it easy – this is an acclimatisation day. The motorcycles would be put through a servicing routine – for next day’s tough ride to Khardungla. This is a big landmark day of your riding life. You’ll ride on a motorcycle to the world’s highest motorable pass, the Khardung La (18384 ft) – this is the highest one can ever reach on a motorcycle on this planet – click a quick picture and be sure that you leave the pass earliest to ride down on the other side. We now cross over to the beautiful Nubra Valley – riding some of the highest altitudes. Your overnight stay will be at an Organic farm field camp – and you would love it. There would be a dinner by the fireplace and a clearest of the night skies. Nubra valley deserves more than one day. There are quite a few things one could do. You can explore the Nubra valley on your bike – important places to see would be the Diskit Monatery – which has some great stories to hear from monks and the famous Hunder sand-dunes – where you would be amazed at the double hump bactrian camels. These camels are the remnants of the silk trade that flourished through this valley in the past. About a days ride from Nubra and back would be to the Balti village of Turtuk or may be the hot water springs of Panamik. These are optional activities – and would require special permits and preparations. This would be an easy morning to wake up and may be take a walk around the village and see the life as it exists beyond 10,000 ft. Around 10 am, post breakfast we ride back to Leh once again via Khardungla. You have another chance to take a photo at highest motorable pass in the world – before you roll down back into Leh valley. Yet another day when modern amenities are available to you. So you may have the long missed pizza or a burger before we once again ride into the wilderness. This is a wonderful ride to one of the most beautiful vistas of your life – the stupendous Pangong Tso lake. We do pass through various passes and valley and frightening roads. It would be cold in the passes and on the lake – the winds at times are pretty harsh. Try spotting the mormots or ibex on the slopes and meadows if you can. The turquoise blue Pangong lake and the various hues of blue it changes as the sun and clouds play with each other – is a natural wonder. We would be at our camps by the afternoon. Take a walk by the lake in the evening and see the vastness of this crystal clear lake. It is a humbling experience. This is one of the long and tough day to ride – and it makes sense to again start early. The roads to Tso Moriri are not developed, but it is worth all the efforts. Tso Moriri is yet another high altitude lake, that is more beautiful and less frequented by the tourists. It is also a famous breeding ground for the black necked cranes. We should be there by late afternoon – savor the views of this water body from the famous view point, walk around the village and retire early for the next day’s ride. It would be windy most of the time – good protection against cold is recommended. With some more morning views of the beautiful Tso Moriri – we need to ride out early, and it is a long day ride to Sarchu. 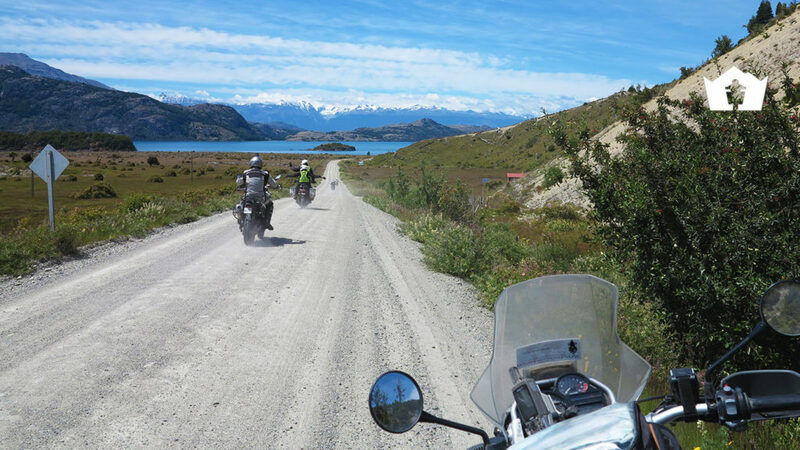 Some of the most rugged of your ride would happen today – the road surface is non existent in the first half of the day. You would pass by a drying Tso-Kar lake – often visited by the bird watching enthusiasts. Once across Tsokar, we are on some real nice roads and drives – The Moreh Plains. Here you could ride to your heart’s content after a long time. At the end of these plains is a road side camp called Pang. With a quick lunch, we get on to our ride, as we still have quite a bit to cover. By late afternoon we cross the border into Himachal at Sarchu – a windy valley that looks like narrow plains. We quickly check into our camps. Sarchu normally is pretty cold and has wind chill effect. It would be good to retire early, as you still have another tough day ahead, before you are in Manali. Well here we are – the last of the tough ride days, but with most rewarding views too. We would do well to start early morning to ride some more mountain passes. The roads will be good, bad and ugly – and you would be happy to finally cross the famous Rohtang La – which means the Heap of Dead. A few years from now – you will not have to cross Rohtang, as there is a tunnel under construction below this hill. If we do sustained riding with only very essential halts – we would be Manali by the evening. This would be a tough day, and a few places your IDs would be checked. Well you have just finished one the most tough ride of your life – given the uncertainties it reveals – it arguably is the toughest commercial ride on planet Earth. After some 4 days of rough ride mode – today you get to spend some time relaxing and reminiscing your ride days in the beautiful Manali resort. You could just laze around, do some rafting or para-gliding, buy some trinkets or just go to the town and have some beer or coffee or pizza. You would love this much needed break. The bikes need rest and maintenance too. One more day of high octane ride and then you are back to your usual mundane life. You have been through a lot of Himalayas – and that means a lot. You will realize this once you are back home and see the images of the experiential journey you dared to take. Like all good things that come to an end – this is the last day of this tour. We deposit bikes and prepare for our flights or trains back home. We normally have a review session – and we see all the pictures we took on the ride. You say good bye to your ride buddies, thank you to the staff that made it possible – and go your own way till you meet again on another ride in another unique riding trail. Pricing for a guided group of 15 days, run from May to September. The first and last days mentioned in the itinerary are the arrival and departure days for tour start and end. Depending on the country you start in, you may have to leave a day early, subsequently, you will arrive one day later back home. This tour starts in Amritsar (ATQ) and ends in Delhi (DEL). Book your flights accordingly! Route and overnight places may change due to unforeseen events.